Anonymous, 01 Nov 2008Why is it then that SAXO DID NOT made a trading platform for other "smartphones " They are m... moreHow ironic is it that you say "unparalleled performance" when the phone itself can't run important applications parallel to each other... LoL Nosebleed! Well, like I said, immature bankers brand this as a smartphone, whilst those experienced teenagers will go for the Nokia N97. Acceptance is part of the solution. 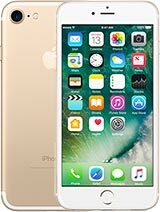 If you guys accept that this is a smartphone, then it will stick to the same formula, instead of upgrading to its full potential. A statement by Intel, released Thursday, appears to slap down executives who reportedly made disparaging comments about the iPhone. Intel executives Shane Wall and Pankaj Kedia criticized the iPhone in a session at the Intel Developer Forum Taiwan, as reported by ZDNet Australia. 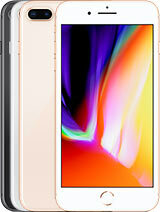 The comments dealt with the iPhone and its ARM microprocessor, which Intel competes against with its own line of embedded microprocessors, including the Atom microprocessor. "As general manager of the Group responsible for Intel's ultra-mobility products, he acknowledged that Intel's low-power Atom processor does not yet match the battery life characteristics of the ARM processor in a phone form factor; and, that while Intel does have plans on the books to get us to be competitive in the ultra low power domain - we are not there as yet," the post stated. 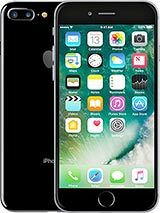 "Secondly, Apple's iPhone offering is an extremely innovative product that enables new and exciting market opportunities. The statements made in Taiwan were inappropriate, and Intel representatives should not have been commenting on specific customer designs." Anonymous, 01 Nov 2008I tell you y you do not understand, because with bluetooth you would send ILLEGALLY the files... moreYou can do it via wireless, just install bBase discover from the App store. I tell you y you do not understand, because with bluetooth you would send ILLEGALLY the files to other devices, APPLE legalized the music download market with Itunes music store which is today the number one LEGAL multimedia retailer, stick to Nokia and the other 1000 times better devices if you like to live in the gray shade illegal area. Apple is a company that makes billion of dollars of legal profits and makes millions of consumers happy like the 12,6 million people that bought the Iphone in the past 15 months. Using this App my iPhone paid for itself over 100 times, although I have lost a few in the last couple of weeks. Bloomberg is pretty good as well full of info although you can't actually trade. 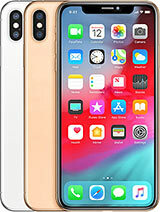 The Apple iphone has no Bluetooth 4 sending data (fotos,music files etc) only 4 headset.It is the most disastrous phone till date.I can't understand y people r running behind Apple iphone.Y can't people go 4 Nokia,Sony Ericsson, Samsung,Blackberry etc which r 1000 times better than the stupid iphone. 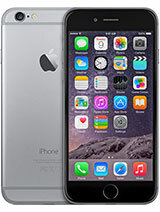 They are market leaders and do not want to benefit from the other phone brands users ? Or is it because the Iphone provides unparallel performance as a smarphone compared to the others ? 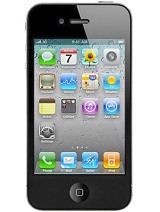 I like iPhone's design, from the UI to the physical features because it appears to be so classy. But there were things that I don't like, the lack of most basic features for a phone. But still I like this one along with my N95 8GB. How was the phone when your listening music using phone's speaker? How was also the phone when used as loudspeaker during a call? I want some feedbacks from the user. I don't like the one from the review. Anonymous, 01 Jan 1970I may not be over the moon with the iPhone, but hands down, IT HAS THE BEST UI (User Interface) out there. Even an unborn baby can use it. But if we are talking about things like, say, if it's worth it? That's debatable, and I think it's too expensive. It's more of a status symbol. "Hey look, I have an iPhone, I have a big doink!" Hehe. A smartphone it is not. It obviously tries to be one, and thanks to this, you can automatically see those big name reviewers where they're coming from, and if they're full of stinky poo. BUT, this is still the BEST media phone at the moment. I just wish it could play WMA and AVI like a BlackBerry does. Anonymous, 01 Jan 1970Yeah I agree, the iPhone is sick, it's the sickest phone out. I'm glad you want to applaud it, I think it's worth clapping too. Now do your 1,1,1 votes and run along no-one cares about your asterisk laden opinion. new iphone with video recording is comming . the fram rate is so high that when recording it needs 986 thousand trillion big bangs energy per second . And because once you get used to the Iphone it is impossible to go back to a stone age phone like Nokia, Motorola,Samsung etc. Anonymous, 31 Oct 2008Why then Apple sold more Iphones than Blackberries in the last Quarter ?Quite simply because the iPhone is beautiful, simple, and well-marketed. It's like asking for every 1000 people, how many are capable of critical thinking.